BC Ferries announced today that the company will proceed with its plans to design, build and operate a cable ferry between Buckley Bay on Vancouver Island and Denman Island. The new 50-car vessel is expected to be in service by the fall of 2014. After four years of studying the feasibility of a cable ferry, BC Ferries is satisfied that this type of operation meets the company’s strict criteria for the delivery of a safe and reliable operation for the Buckley Bay – Denman Island service in a more cost effective manner. Extensive design work and analysis conducted to-date includes: validation of environmental conditions; hydrodynamic testing of the vessel; cable load analysis and dynamic interaction of the ferry and berths; and the determination of operational criteria, cable specification and safety factors. Protection Act. 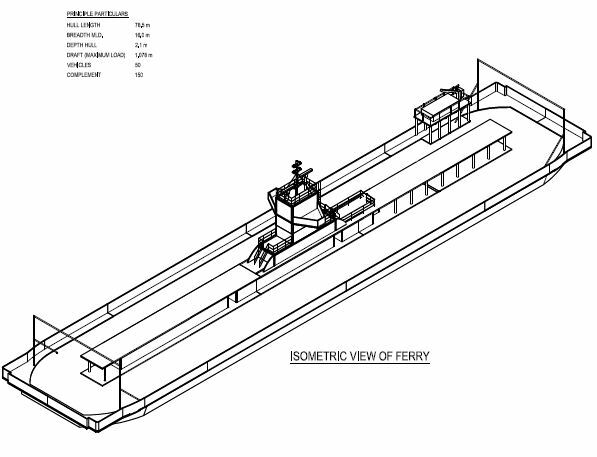 BC Ferries is moving into the detailed design phase for the cable ferry and for the terminal infrastructure. The company expects to conclude a tender process for the construction of the vessel and terminal works by the summer of 2013. The company has an obligation to ensure that the service it provides under the Coastal Ferry Services Contract is safe, reliable and efficient. To this end, BC Ferries issued a request for proposal (RFP) to determine if another operator, under contract to BC Ferries, could provide the cable ferry service to a similar level of safety and quality at a lower cost. BC Ferries has now concluded the RFP process and has determined that it can operate the route in a more cost-effective manner than an alternative service provider. Accordingly, BC Ferries will operate the cable ferry between Buckley Bay and Denman Island.